Leather, being one of the most versatile additions in upholstery, is just not a material but a part of the history. It is believed that leather was first used as cladding to cover dining chairs as early as 5th century A.D., because of its easy maintenance and cleaning properties. 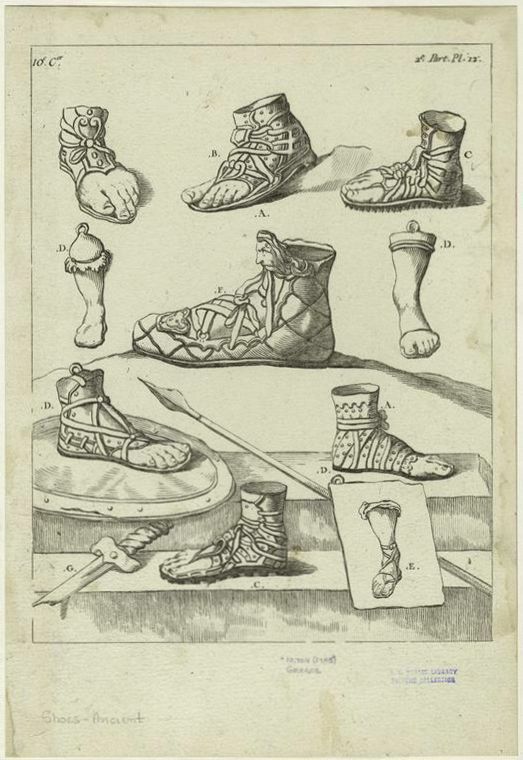 A few centuries later, ancient Romans started using leather in various forms. Roman soldiers used to carry leather armour and leather shields in battles to protect themselves from their enemies. Ancient Greeks were very well known for their trend thatstill exists today - Greek Sandals. Images painted on rocks in caves and ancient artefacts are a proof of this century old craft and are a fascinating addition to the history of leather. By 14th century, leather was a popular trade and used to create or decorate many luxury items and fashion clothing. Starting from leather decoration on walls, leather cladding on furniture, accessories, shoes and bags soon became a widely practised skill. During the globalisation era, people started to travel abroad and populate new developing countries like America, Canada and later Australia. The craftsman around these areas began to make 'Trunks' ranging from small to big wardrobe trunks to carry clothes and belongings while travelling across countries. Initially, these trunks were made of wood using similar methods practised to make furniture and the corners were bound with metal strip. 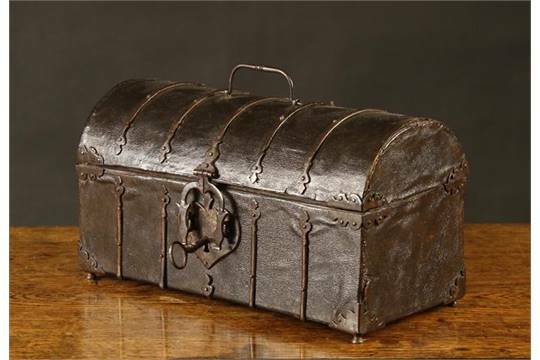 Around 17th century, wealthy merchants started using leather clad trunks as leather was known to be a symbol of royalty and luxury. 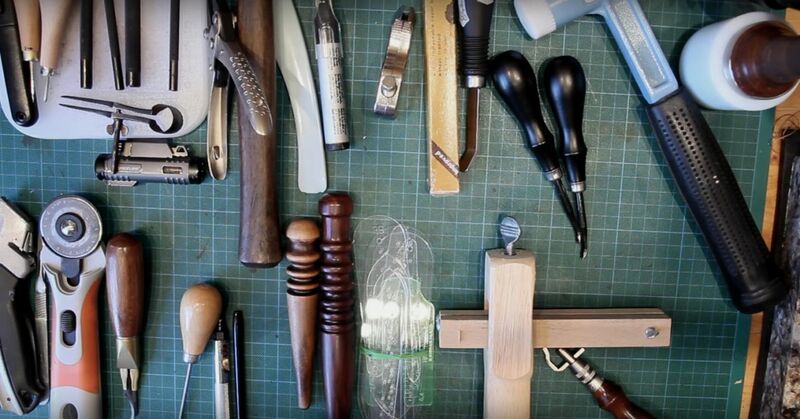 The craft of creating leather-clad pieces is an ancient art form. Leather is cut into strips, shaved and pasted on the surfaces to create beautiful patterns. Various forms of leather cladding have been used since the early age. From ancient leather clad trunks, foot-wears to modern wall coverings and furniture, decorating with leather clad is an art that has been with us since ancient time and will remain to decorate our homes for years. Be it stitched leather patterns on walls, leather-wrapped handrail, leather covered books or leather-clad chevron pattern, this decorating technique gives an immense charm to your product. Chevron pattern has been around since ancient Greece, which is the most celebrated of all leather cladding patterns. The beautiful metered zig-zag lines in a chevron pattern, made with an unobtrusive top stitch detailing, create an endless combination of colours, finishes and textures. The beauty of a leather-clad piece lies in its graceful ageing. Each time it is used, it takes on a little more from its owner's personality. To celebrate this age-old cladding technique, Gulmohar Lane presents a new range of products, Edward Collection. More than 60 man hours dedicated in crafting each design, every small panel of leather carefully hand-cladded with decorative stitches to accentuate it's geometric pattern, makes our Edward Leather Collection unique. The range includes coffee table, magazine holder, side table, tv units and trunks, beautifully handcrafted by our master craftsmen, with clean and architectural design. Add the desired texture and warmth to your living space with our new Edward Leather Collection.